Myles has over 40 years’ experience in the areas of nonprofit law, taxation both as a researcher, legal consultant, and board member. He was the foundation director of QUT’s Australian Centre for Philanthropy and Non-profit Studies and retired with the award of emeritus professor to continue his research interests as desired. Myles was appointed to the inaugural ACNC Advisory Board of the ACNC in 2013. In 2012 he was retained by Australian Treasury as one of the consultants to prepare a consultation Regulatory Impact Assessment of duplication in ACNC and state regulatory reporting requirements for NFPs. He has delivered many assignments for all levels of government on NFP regulation, policy and particular research projects. 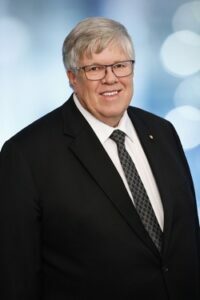 He is a founding member of the ATO Charities Consultative Committee, and part of the Productivity Commission’s research team examining the Contribution of the Not-for-Profit Sector and currently a member of the Queensland Governments reference group on reform of the Associations Incorporation, fundraising and charitable gaming legislation. Over the years he has authored many manuals on legal issues in the sector, accounting templates and service contract commentaries, as well as more theoretical papers, books and journal articles. He has extensive NFP board experience as a lecturer for the Governance Institute and QUT, co-developer of the Developing Your Board Assessment On-line assessment tool, as well as being a Governor, Queensland Community Foundation; Member of the Queensland Community Benefit Gaming Fund; Chair of the Australian Council for International Development (ACFID) Code of Conduct Committee and member of the FIA ethics committee, Trustee member, Uniting Church in Australia Property Trust (Q. ); UCA governance Committee, Legal Reference Committee (Synod and National) and currently a member of the board of Uniting Care Queensland. He also has significant international experience as a director of The Pemsel Foundation, advisory board member of the International Centre for Not-for-Profit Law, regular guest at the International Charity regulators Forum and providing expert advice to legal firms outside Australia on various cross jurisdictional issues. In June 2003 Myles was awarded the Medal of the Order of Australia (OAM) for service to the community by providing education and support in legal, financial and administrative matters to non-profit organisations.